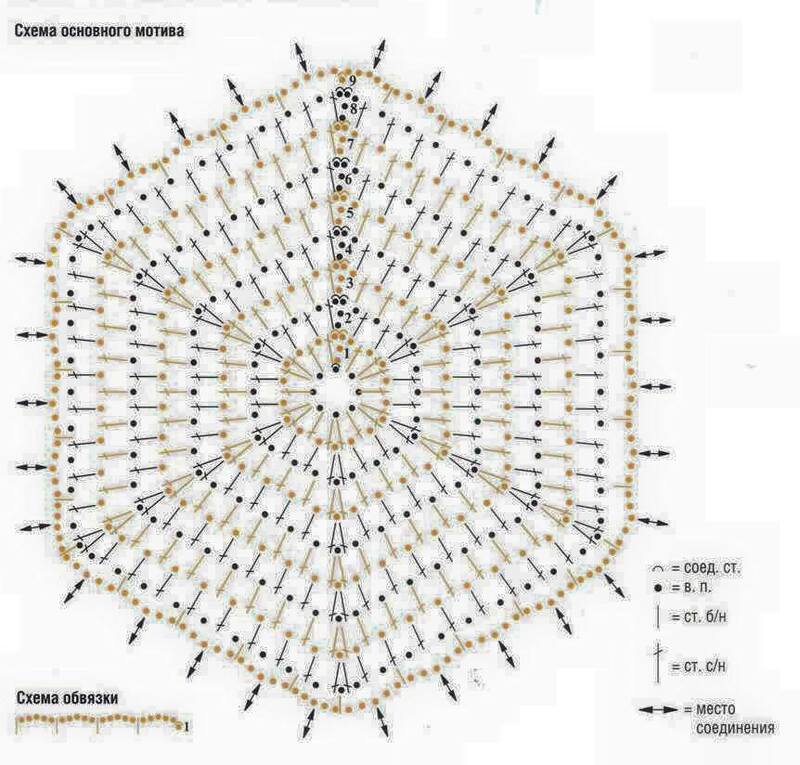 I am not a fan of creating patterns without a chart , especially when it comes to famous brands that employ cheap labor for the crochet items they sell… but once again I am making an exception. Yes…I am obsessed too with this particular pullover hence my understanding for your numerous requests for a pattern. Since the item is no longer available for sale on the original site, this pattern is MY BEST GUESS on how this pullover is made. Expect an error of 5% ( maximum)but as I write it , I will make it after I am done with my current project. As all Anthropology crocheted items this is made in Asia so a bit of freestyle crochet is involved. Considering the pullovers are made in bulk the yarn used it the cheapest one : combination of cotton blends. Yarn recommendation: anything medium and worsted- cotton, cotton blends ,cotton merino, merino fine to medium. Hook: 2, 5- 3 mm ( which one fits better). The pullover in the picture is 38 European. 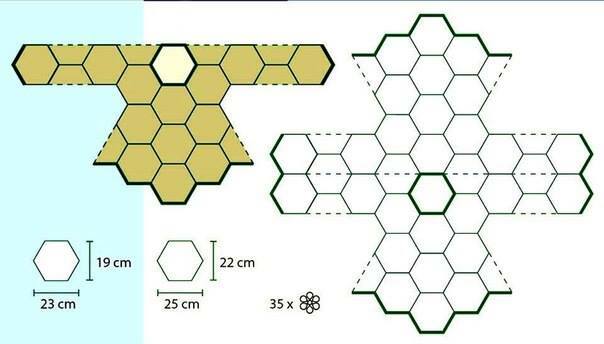 This means larger sized will be obtained by working an extra row on each hexagon. Ex: 1 row = sizes 40-42 European , 2 rows = sizes 44 – 46 European. The style of the pullover is casual fit oversized so keep in mind that fitting it to your size is easier than it seems. Ch4, 1dc cn1 1dc ch1 , 1dc ch1 1dc in the same loop ( first corner),* 3x 1dcch1 , 1dc ch1 1dc in the same loop* (second corner), repeat ** to form the corners…last stitch is the end of the sixth corner, sl st and turn. 11. Repeat 3 ( last row) Last row: you either choose to use a 0,5 larger hook( in case you work with 2,5 use a 3 mm), or you use treble crochet instead of dc. 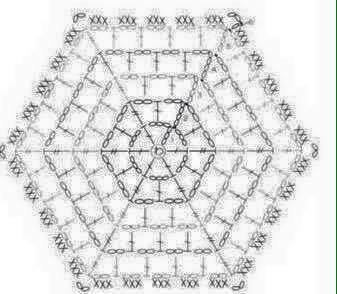 This is the basic explanation for the hexagon. 6 motifs : 3 front , 3 back. Sleeves: You need 3 rows of 2 motifs joined down from the shoulders motif. You may need an extra row of tr crochet in order to join the shoulder motif with the first row. Below you can find some inspirational motif charts. Note: for the neck opening you can notice in the picture that the center front and back motifs have an incomplete top corner. For the front neck opening the top corner of the hexagon is not completed . You stop working at a half 1 stitch starting from the 3rd row of the hexagon. Basically you only work 3 quarters of the motif. For the back neck opening you will do the same thing starting only from the last row of sc. To finish the neck opening work 3 to 4 rows of sc around the neck opening. 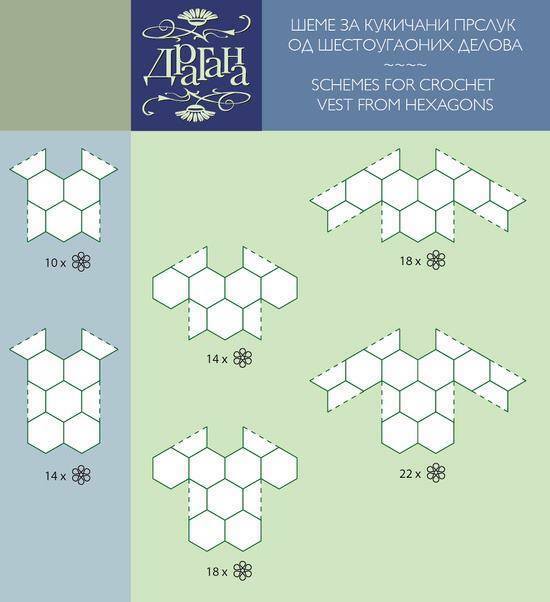 In order to get a straight line for the bottom of the pullover and the bottom of the sleeve you will have to work little triangles using the same principle as for the corners of the hexagon with center V stitch increase. To finish the bottom you can knit the bottom border with simple knit and purl ( knitted elastic) working 5 to 7 rows, or you can choose to make a crocheted elastic with fpdc and bp dc. The same applies for sleeve cuffs. Please keep in mind that the pullover may seem quite a handful but it is far from being so. Simply give it a try and have fun. Dare and take on this crochet challenge for yourself and you’ll have a fashionable pullover to wear with skinny jeans and maxi floral dress this upcoming spring. 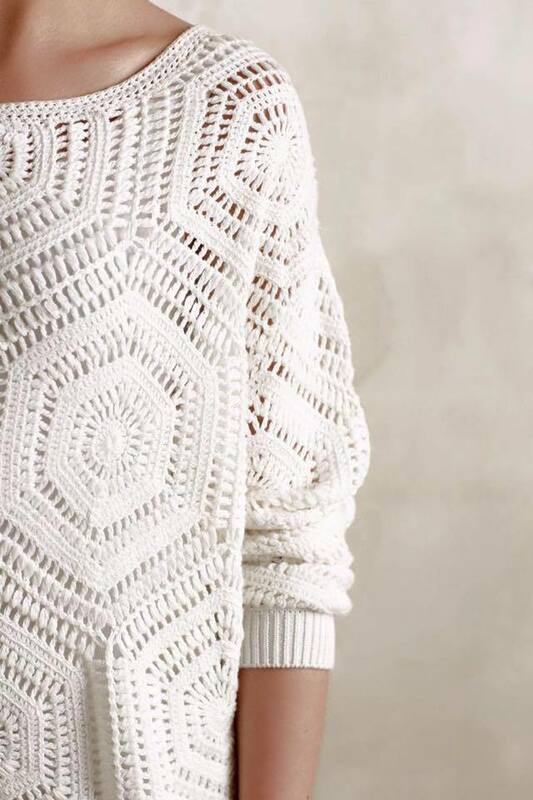 I hope you guys like this post and try to make this stunning Anthropology pullover. Have fun and please share this far and wide so this free pattern will help as many as possible. Also join us on Facebook, Pinterest and Google for more interesting updates and projects.